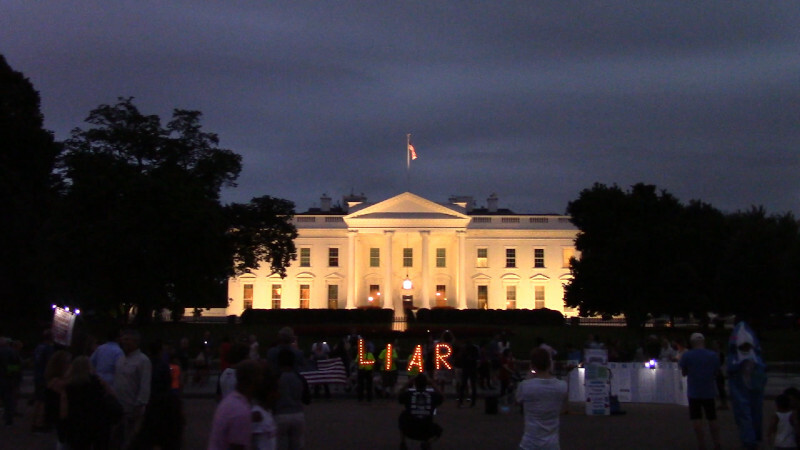 The 20th of August was the 36th night of ongoing impeachment rallies at the "Kremlin Annex" aka the White House. 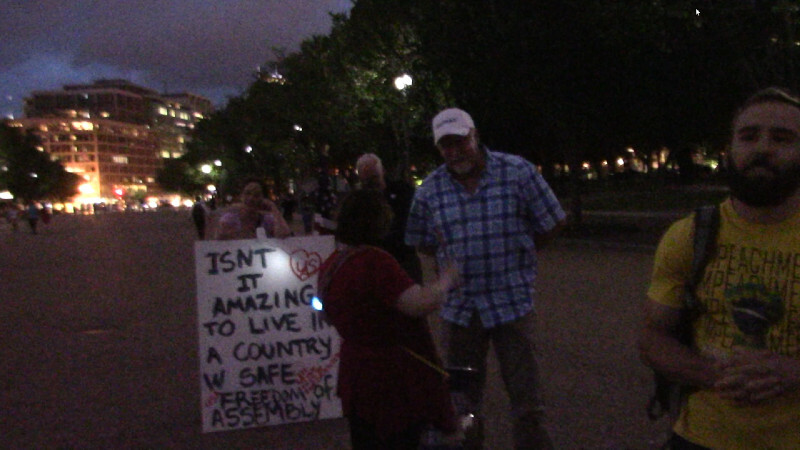 A disruptor barged into the protest but was unable to shout down or take over the mike. He soon left after being engaged by the emcee over the sound system, a drummer and a protester dressed as a shark.